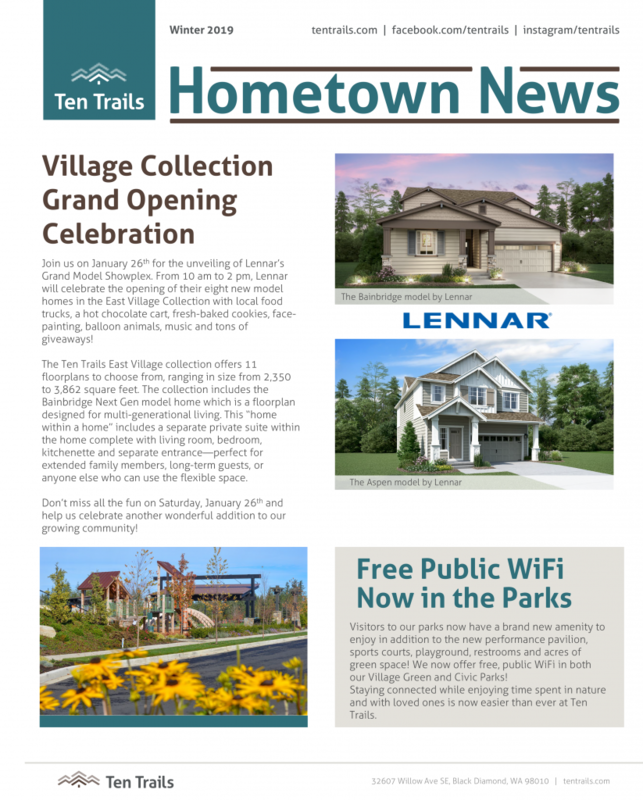 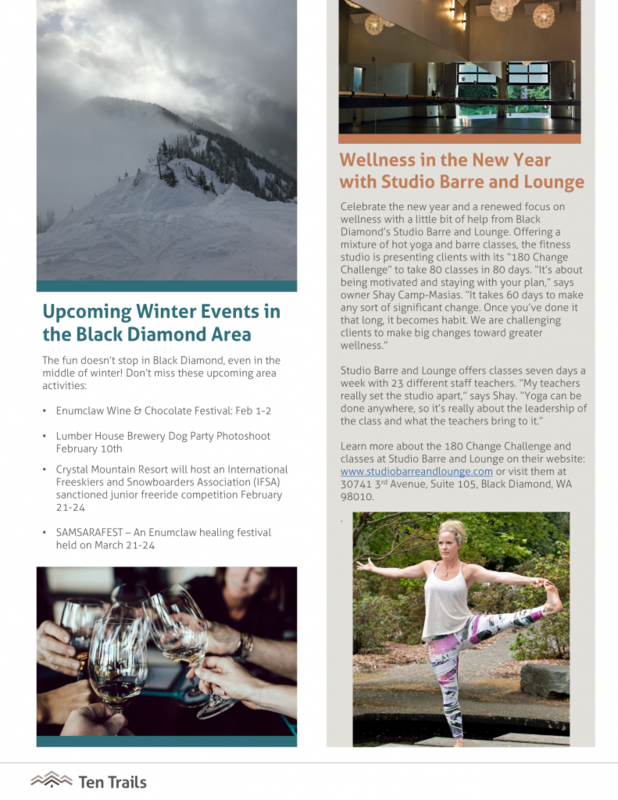 Read the latest news about Ten Trails in the new newsletter! 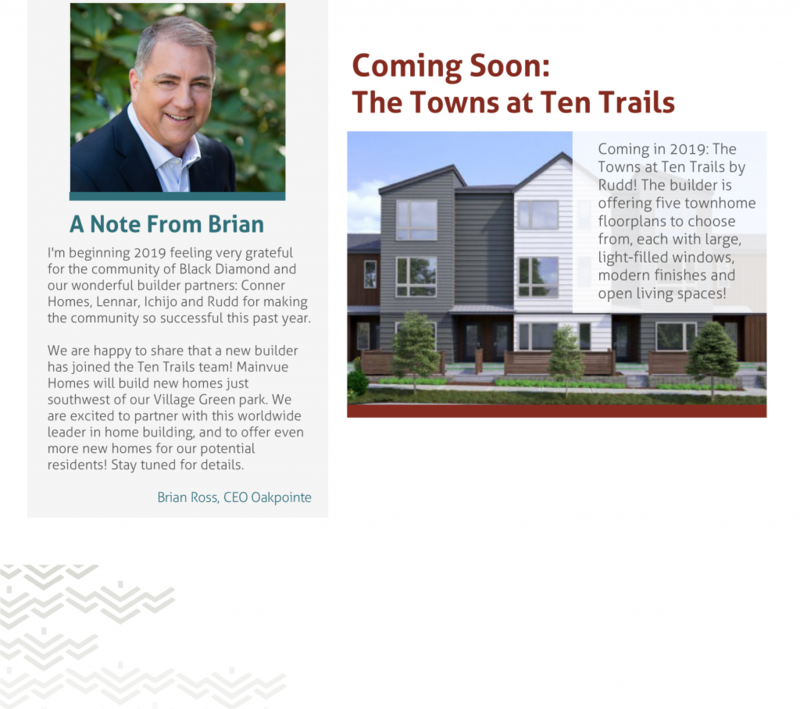 Read all the latest news and information on this new master-planned community, located in Southeast King County! 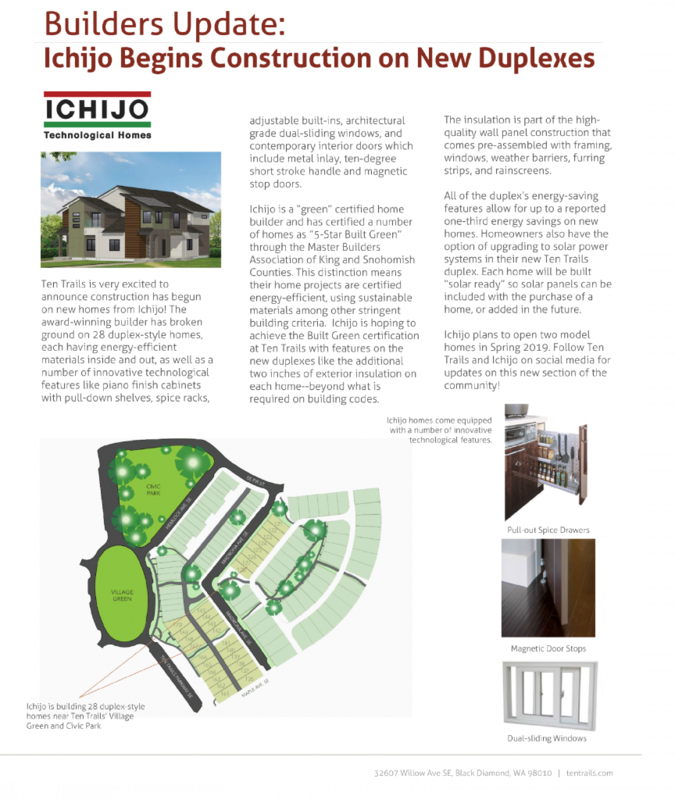 Featuring new single family homes, modern duplexes townhomes, parks, trails and a retail village!